A jumbo loan is one where the mortgage amount is above the conforming loan limit. Currently, the conforming loan limit for most parts of the country stands at $484,350. However, some locations deemed “high cost” like parts of California, Colorado, Florida, etc have loan limits to $726,525. Conforming loans are so-called because they conform to guidelines issued by Fannie Mae or Freddie Mac. Lenders who approve loans using these guidelines can then sell their loans in the secondary market. Each year, the Federal Housing Finance Agency announces any conforming loan limit changes in November for the following year. Overall, jumbo loans are approved in a similar fashion as conforming ones but there are some differences jumbo buyers need to know about. Home buyers and those refinancing using a jumbo loan will find the loan amount cannot exceed 95 percent of the value of the property being financed. Borrowers will need to make a 5 percent down payment but can also get a slightly better interest rate if they make a 10 percent down payment. Conforming loans and FHA loans can ask for a down payment as low as 3.0 to 3.5 percent. But jumbo mortgages must be at or less than 95 percent of the value. Note, this only applies to select lenders as most mortgage companies do limit these programs to 80% loan to value. There are no private mortgage insurance policies for jumbo mortgages. Conforming loans with a down payment of less than 20 percent can require a separate private mortgage insurance or PMI policy. 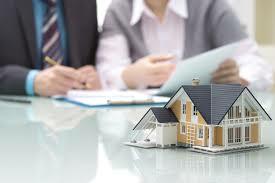 PMI is an insurance policy that is paid for by the borrower in favor of the lender. Subordinate financing is often used with a jumbo loan. This is where borrowers who do not wish to make a minimum 5 percent down payment can take out two mortgages instead of just one big one. With this strategy, a buyer can make a down payment of less than 20 percent. For example, let’s say a buyer wants to make a 10 percent down payment. Remember, there is no PMI for a jumbo loan, so the first mortgage must still be at or better than the 80 percent level. With this structure, there will be two mortgages, the jumbo loan at 80 percent and the second mortgage at 10 percent. The industry refers to this as an 80-10-10 loan or with a 5.0 percent down payment, an 80-15-5. The first number is the first mortgage, the second mortgage is the second and the third number is the amount of down payment. Note: Home buyers can learn more about the current requirements and loan limits on the Jumbo Purchase Page. Borrowers can expect to have a higher minimum credit score for a jumbo loan. With conventional conforming and government-backed mortgages, the qualifying credit score can be as low as 620 in many cases and as low as 580 in certain situations where FHA financing is used. With a jumbo loan, borrowers can expect to have at least a 680 score with many programs asking for a qualifying credit score of 700 or higher. Credit score minimums can change based upon the amount of a down payment, loan amount and other factors, but overall borrowers can be expected to have a better credit profile in order to qualify. Finally, there are also limits for most jumbo loan programs, again depending upon the amount of down payment in the transaction or equity in the instance of a refinance. A regular jumbo loan may have a limit of $3 million. Anyone needing a loan more than that would need to come to the closing table with more down payment to get the mortgage at the $3 million mark. There is also a jumbo category called a super jumbo loan where the limit can be as high as $8 million or even higher with certain exceptions and additional compensating factors. Jumbo loan programs offer the same type of mortgage programs that conforming loans have. Borrowers have the choice of a fixed rate, an adjustable rate or a hybrid mortgage. 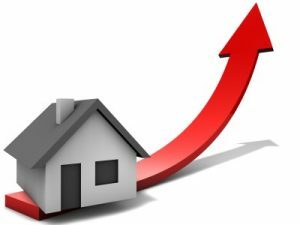 A jumbo adjustable rate loan is one where the interest rate can change on predetermined periods such as six months or once per year. A hybrid is also an adjustable rate mortgage but is fixed for an initial term, such as three or five years before turning into a loan that can adjust every six months or every year. Questions? Please submit the Quick Contact Form on this page or call us at the number above, 7 days a week. Happy to serve buyers nationwide including Miami, Jacksonville, Tampa, Dallas, Houston, Chicago, Denver, New York, Boston, San Francisco, LA, San Diego.